Cosmodic is a form of an electronic bio-feedback which can help to give back to the brain information that has been lost damaged or had compromised. It is used for recovery and rehabilitation of the body and is not primarily concerned with fixing conditions / symptoms. It is more to do with identifying causes and impairments and returning data to assist the body in correcting those from a cellular level. It is primarily involved with returning to the brain information with which it is able to restore lost cell function to within normal physiological parameters. Providing that correct nutrients for regeneration of tissue are present in the body and with gentle exercise and the appropriate rest and lifestyle changes it becomes a matter of time before the body will be able to recover. It is small, hand held, totally non invasive and fully automatic. It is clean, easy to use and does not give rise to healing crises. Cosmodic ® is a technology of active restoration. As a modality, it is whole and complete and works a panacea alongside diet and lifestyle changes. Cosmodic ® can return corrected data to the brain, thus being able to trigger a recovery process. 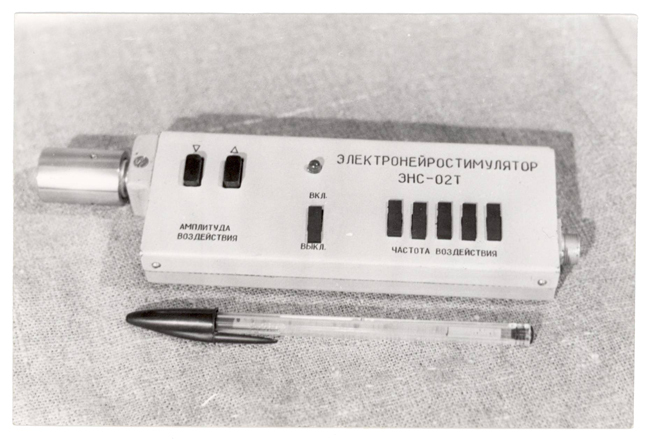 The original technology invented by Alexander Karasev from Russia, was called S.C.E.N.A.R. an acronym that stands for the words that describe the job that it does. The older technology worked more in the areas of symptoms and conditions but today we work only in recovery. This was some 40 years ago. Since that time the technology has undergone substantial changes and modifications until Cosmodic ® - which is what we use today. The most recent development being that of ENS. This is the technology that functions in the area of mitophagy - the clearing of damaged mitochondrial tissue. Generally speaking we can access where the body wants us to use the device and redress homeostasis and de-stress the body by taking what appear to be measurements on the skin using the nervous system. We use the central nervous system as a communicator with the brain and this triggers a hormone response which can begin to help in recovery. The devices are fully automated but in the expert hands of a trained professional efficacy of treatment can be increased and recovery made more effective. The whole of the human spectrum is able to respond to the waveform unlike that of the older technology, which had some limitations. There are few contra indications and absolutely no healing crisis. Depending on the individual there can occasionally be a recovery reaction if the toxic load of the individual is high or they are perhaps less fit in general. I would advise not to be working with these devices if you have any kind of electronic pacemaker equipment fitted or were currently actively involved in any form of chronic alcohol or drug addiction issues (be their prescriptive or social). We would then proceed to take readings and assess exactly where you body is asking to be corrected. We then begin to place the device according to both the body’s request as well as using intuition and experience. The first treatment on the body would not be longer than 20 – 30 minutes but the duration of a follow up session would be as long as the body has asked for. The work on the body is felt comfortably and never painful. The power level is controlled at all times and is very gentle. There is no real sensation to recovery so it is not necessary to be felt. However there is a sensation that we put in the device as a placebo to enable those who believe if you cannot feel it, nothing is happening. But that is kept to a gentle level. It has been reported that one can feel tingles or warmth on or beneath the skin and often lightness where there had been tension before. There are no strict instructions for any rules prior to or following a session as regarding bathing or eating specific foods etc. Having said that, in our practice we always suggest that as we have activated elimination systems that it makes sense to increase the intake of pure water generally so as to dilute any toxicity as it leaves the body. Most people do not drink enough water anyway so this is a good thing. a most remarkable tool for those of us who are unable to reach everyone, all of the time in person. With this little app we can analyse your wellness and then “tone” your body with energetic signatures and frequencies. 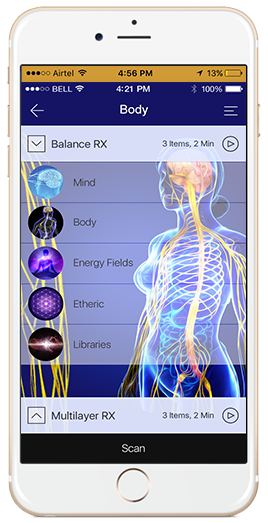 Welcome to a new world of Quantum medicine – this is what it can look like, with this small app from an iPhone iPad or Android. To give you a brief overview of how this works, who better than from one of the system’s founders! Quantum Biofeedback is a system used in this practice that utilises electromagnetic frequencies to help align the body’s electrical impulses, reducing stress related to health imbalances. Used in conjunction with Cosmodic we are now able to increase our efficacy. We can customise each session to an individual’s needs with proficiency and effect a greater efficiency in recovery by way of giving to the body energetically frequencies that were formerly missing from the individual using food as opposed to many expensive supplements in order to restore health. Everything in nature has a vibration. The bodies response can be measured by means of brain wave activity, heart rate, galvanic skin response, voice and other feedback techniques. The Quantum Genius records your complex voice wave pattern and applies certain mathematical formula (algorithms) to the voice wave pattern. The Voice Wave file is then compared to the Quantum Genius Frequency database. Essentially we are comparing the frequency of the voice against the frequencies of the built in database. The results are compared, analysed and displayed in easy to view graphs and charts. The main function of the lymphatic system is to transport lymph (a fluid that contains infection fighting white blood cells) throughout the body. 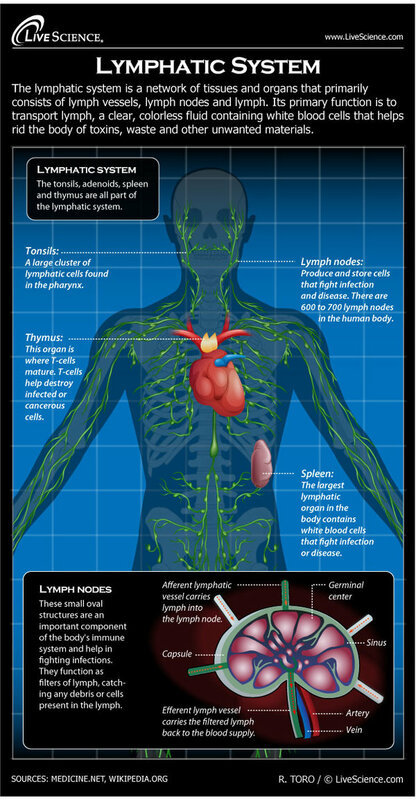 The system consists of lymphatic vessels that are connected to lymph nodes where the lymph is filtered. A healthy lymphatic system allows the body to rid itself of toxins, waste and other unwanted materials. The tonsils, adenoids, spleen and thymus are all part of the lymphatic system. A healthy elimination process, in our opinion, is the correct pathway to optimum health. Well-functioning kidney, liver and lungs, along with a robust digestive and lymph system is the way to a clean body. A buildup of toxins and waste in any system will create an environment for disease. The lymph should be a clear colourless liquid. According to The Mayo Clinic plasma leaves the cells, once it has delivered nutrients and picked up waste, and returns mostly to the venous circulation through venules. The rest becomes lymph. The lymph flows in one direction (unlike the blood which is looped,) upwards towards the neck. Lymphatic vessels connect 2 subclavian veins, and the fluid re-enters the circulatory system. The most common ailments of the lymphatic system are enlargement of the lymph nodes (lymphadenopathy), blockages of the lymph nodes (lymphedema) and cancers involving the lymphatic system. Inflammatory or auto-immune conditions can also result in enlargement of lymph nodes. The majority of enlarged lymph nodes are not dangerous and are a result of the body fighting infection. Lymphedema can be alleviated with various non-invasive treatments like elevation, compression and physical therapy. The modality that I use in my clinic is the Lympha press. I have found this to be most effective to support a variety of health and well-being issues. Lympha Press® is a dynamic compression therapy system. It consists of a pump which supplies air to garments worn over the areas of the body to be treated. The Lympha Press® pump fills air cells within the garments in a special sequence, alternating waves of compression with brief periods of pause and refill. This action massages the affected area with a “milking” motion. 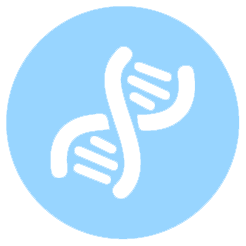 What makes Lympha Press® systems special? The rapid treatment cycles. 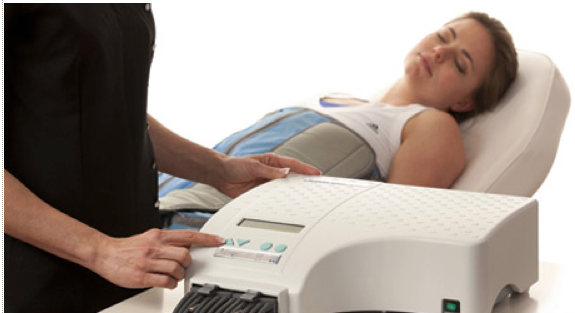 Lympha Press® rapid treatment cycles provide more massage cycles in less time than slower filling systems. The special treatment modes, including Pre-therapy, a cycle based on the principles of manual lymph drainage. The calibrated gradient systems, which enable setting the pressure in up to 12 individual zones, to address localized discomfort and individual patient needs. Our systems will not allow setting a reverse gradient. The multiple, overlapping compression cells. 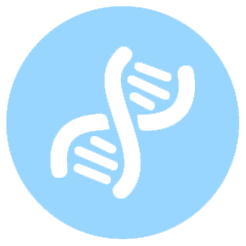 More compression cells mean that a smaller area is compressed each time. Each of our compression cells overlaps the adjacent cell, for fluent massage. The unique garments. They are designed for optimal therapy. Our sturdy, non- stretch fabric directs compression inwards towards the body. And Lympha Press® is the only manufacturer to offer a complete solution for torso and thorax lymphedema, with our Comfysleeve™ and Lympha Pants™. Our food today has less nutritional value than it did even just 10 years ago. This means of course, that to obtain the goodness that we used to gain from eating say, a banana, we will have to eat multiple bananas today. It is very important to understand that optimal health depends on consuming optimum quality nutritional support. This is essential to regenerate correct cell structures. After this, we must ensure that circulation of the right nutrients gets around our systems. This we can do by moderate exercising. I looked for a long time for technical support that would not only help me in assessing this information, but also one which would print out evidence of its findings in a measurable and user friendly way. Something exciting that one can take home and place onto the fridge or wall for easy daily access. This enables us to remind ourselves at every food time, just what we need to eat and not necessarily what we ‘think’ we want to eat!! Not only did the Vantage do this, but I was so impressed with its accuracy, the training and support of the company as well as their appointed representative, that I could not resist from bringing it into my practice. The company that they are attached to, with whom I now deal, ‘Nutri Ltd’ are the most efficient and excellent that I have had the pleasure of working with. Their products are of high quality and technical support of high standards also. 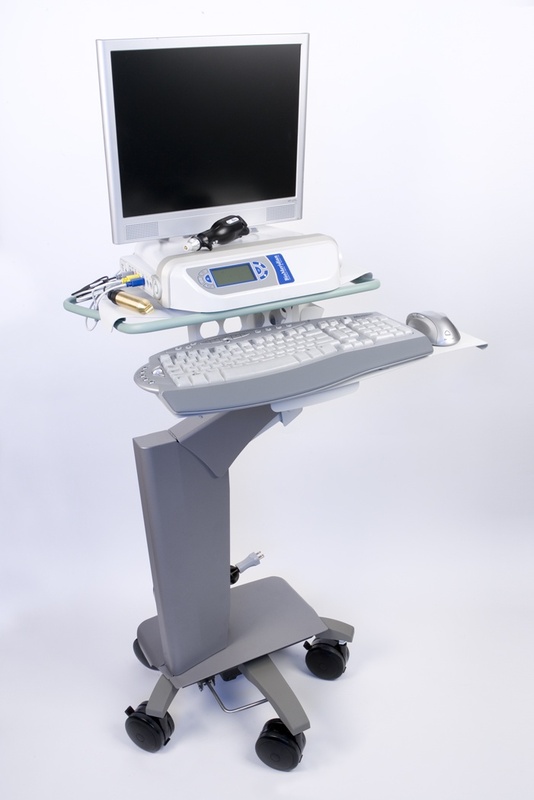 The Bio-Meridian Vantage system is being used extensively in America and Europe as an aid to Doctors and Practitioners. It is being used as both a diagnostic tool and also in supporting suggested supplements for an individual and also can be used to give remedies on site and desensitise certain conditions. It is a Bioelectrical Impedance Measurement tool and analyses energy at meridian points, indicating probable areas of imbalance. It measures the resistance between two points on a meridian. It is totally non invasive and the 60 key points that are measured are over both the hands and feet. This process takes around 20 minutes to complete. The results are shown on an easy to read, coloured chart which the patient may take away with them. It shows each of the 14 body systems along a six phase program of health. 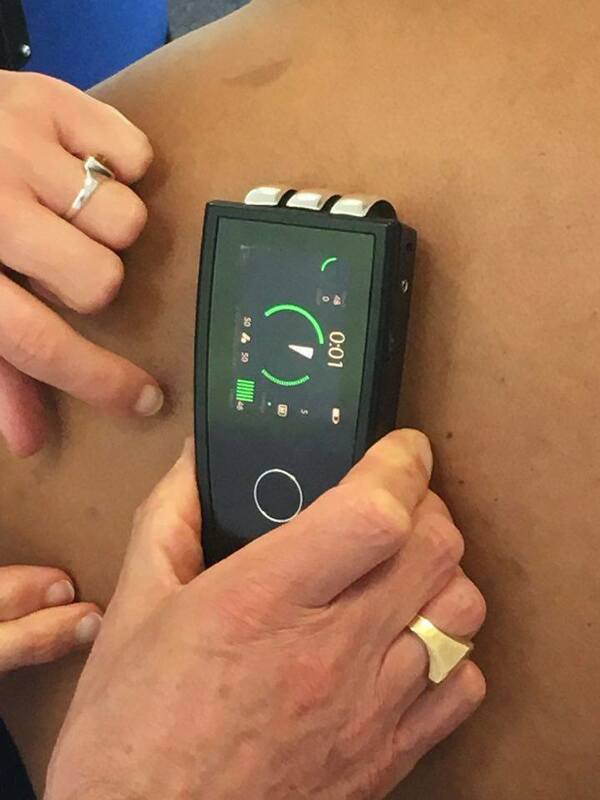 The system is based on the research of Dr Reinhold Voll, who established that by measuring electrical conductivity at these meridian points, disturbances in body function can be detected. The assessment is totally non invasive and painless. It can be used on patients of all ages. Although it does not require any special preparations we do suggest that one is hydrated prior to attending in order to increase conductivity during testing. In the first session a full case history will be taken including details from birth until the present time. Any information that you would consider relevant should be brought along for discussion at this session as well any supplements or medication you might be taking. Home or hospital visits are not normally an option, however under special circumstances it is not impossible but would have to be arranged in advance and the cost would be negotiated privately. We believe that it is important to ensure that you have the correct raw materials internally to enable the body’s regenerative ability. Thus we feel that by using the assessment tools alongside our Cosmodic ® technology, we are able to see more clearly what is really going on, if there is anything that the individual should add or possibly cease taking. In this practice we like to use food as medicine. Please note that a cancellation fee of £100 for a first or extended joint session and £50 for a follow up session will be charged without at least 24 hours notice of cancellation.